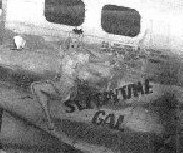 You can email us your 91st Bomb Group (H) Crew Photos and we will display them on the website. We prefer high quality scanned photos, but you could send quality copies of your photos and we will scan them. We will make every attempt to get your photos posted on this site in a timely manner.